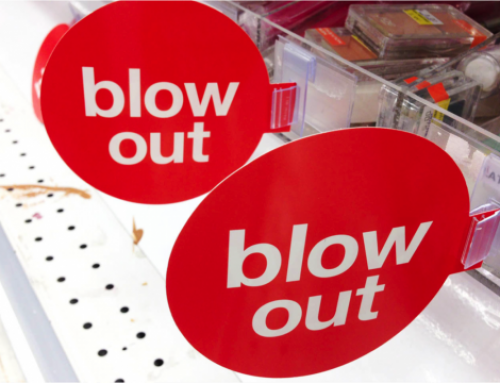 This article is Part Two of The Definitive Guide: 22 Ways to get a discount on anything. To start from the beginning, read Part One. 9. Watch the price scanner, get free food? 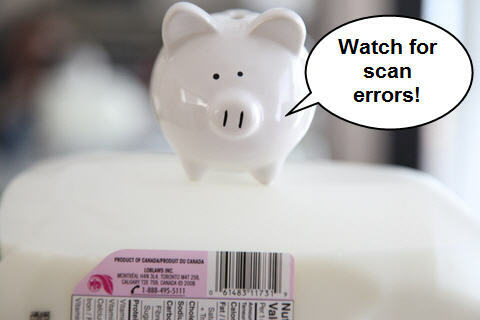 Mistakes on electronic price scans are common at the grocery store. The U.S. Federal Trade Commission has found that errors occur in one out of every 32 regularly priced items. Errors are more common on sale items, with one out of 28 items being overcharged to consumers. The cost of being overcharged at the till can add up to many dollars per month per family. The price isn’t right: Scanning mistakes cost consumers money everyday. If the correct price of the product is higher than $10, the retailer will give the customer a discount of $10 off the corrected price. In America there is no national law for scanner price accuracy — it all depends on the state, sometimes even the county or municipality — as to how consumers are compensated for scan errors. Michigan however has a law similar to the Canadian policy, so residents should always keep their eyes peeled at checkout. Where you save: Many supermarkets and drug stores, and any retailer complying with a scanning accuracy code or law. Check within your country, state, or province to see if discounts apply to miss-scanned items. 10. Join the (secret) club. Love a store, chain, or brand and shop there often? Ask the manager if your preferred location offers secret sales and special shopping nights through a special club. You might have to a pay a membership fee to join, but the discounts could off-set the joining cost if you need, want, or use the store’s merchandise often. Also, ask about customer appreciation days, no tax days, or senior discount days to find additional savings by shopping on the right day of the week or month. Where you save: Lingerie, fashion, and cosmetic chains are a good bet for secret shopping clubs. Expect to save at least 10% on new and off-season merchandise, but be prepared to be wooed often — these chains want your business and you may need to be strong if your budget won’t allow for a shopping extravaganza. Comparison shopping used to require multiple store visits to find the best price. Today, finding the best deal is just a click away! Before settling on a particular brand at a certain store, always research competitor websites, online flyers, and print out any coupons and discounts to bring home the best bargains. Vendors want your business (especially electronics stores) and will often beat an advertised price by up to 10% if you can show them the competitor’s wallet-fattening deal. Where you save: All products and services. A well-researched consumer is a savvier saving consumer, period. 12. Skip the shops, buy online. Retailers boasting both brick-and-mortar locations and online storefronts often sell the same merchandise with different price tags. Guess which store is cheaper? Online! 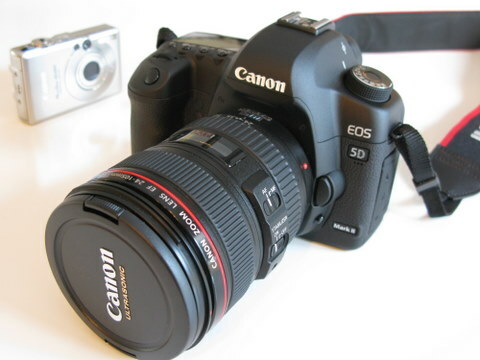 Online Discount A high-end Canon 5D Mark II camera bought online for $800 less than sold in store. If you know your size or don’t need it today, ordering online may be your best path to scoring a discount. 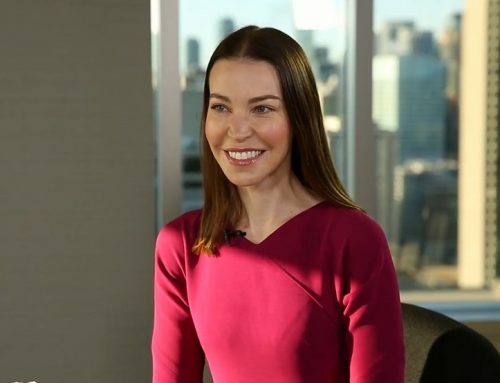 Many brick-and-mortar businesses offer online shoppers web deals and deep discounts — pricing they don’t usually offer in-store shoppers due to shelving space costs. And many online-only retailers can often discount over traditional businesses since they don’t have expensive store-front spaces to pay for. Before buying an item in a physical store, check that retailer’s web inventory to see if there’s a discount for ordering online — your savings could be as much as 25%. Where you save: Electronics, clothing, kids gear, travel, appliances, and more. 13. Shop with an iGadget. Those with iPhones, iPads, or any Android gadget can use their bandwidth to bargain shop anywhere, even while face-to-face with a salesperson. 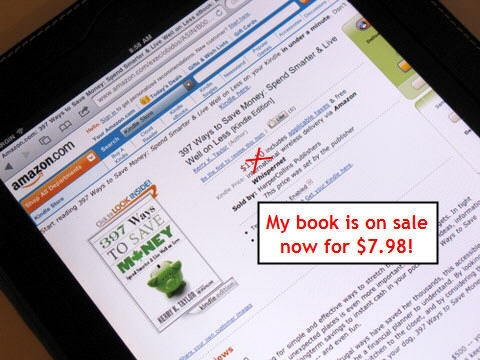 Scout Savings: My book, 397 Ways To Save Money is now on sale (Digital Edition). Carl and I do this all the time. I needed a camera bag, he wanted a new hard drive, so we found the best prices online and shared our findings with store staff. Local businesses have often matched (and beaten) our stealthily sourced prices too. Carl’s iPad wasn’t cheap to buy, but it’s proved to be an amazing tool to spy savings and source discounts. 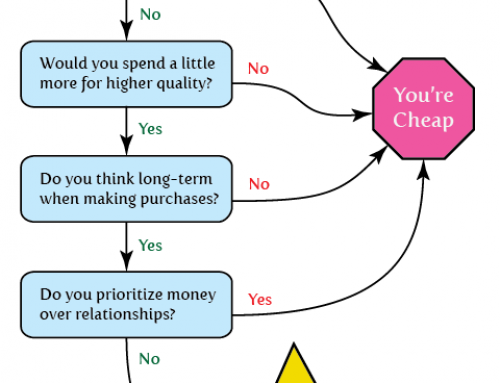 Where you save: Anywhere there’s a comparable brand offered at a competing retailer. 14. 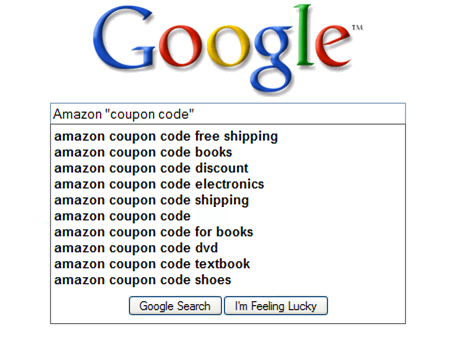 Use secret online coupons. Online shoppers can save even more money by searching the internet for secret promotional codes or coupon codes. Just launch your favorite web browser, open your preferred search engine, and enter the retailer’s name and the words ‘coupon code’. Signing up for a company’s newsletter or email blast can often net you instant savings since you’re now a (more) loyal customer. Secret Coupons: Enter the right promo code at checkout and save money. Coupon Code Tip: Depending on your search results, you may find several promotional codes that can be entered into your online shopping cart. See 8 Stealth Ways to Uncover Big Savings with Secret Online Coupons for more sneaky cost-cutting coupon tips. Where you save: Any retailer who offers promotional codes and online coupons. Books, shoes, clothing, electronics, gear. 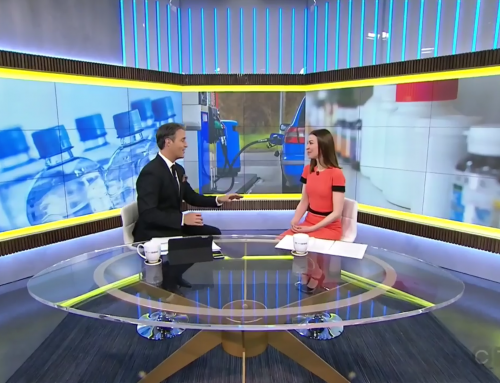 A creative method for saving on shipping is to order online from a store that also has a brick-and-mortar storefront and opt for in-store pickup, for free. Not only will you qualify for web-only discounts not offered in the store, but you can get your merchandise much faster by picking it up in person. A friend of mine used this method to save $150 off the price of a laptop computer by visiting the store in person and ordering the goods using his cell phone’s web browser — he waited only a few minutes to pick up his package. Another method for scoring free shipping is to search online for promotional codes. Heck, sometimes just entering the words ‘FREE SHIPPING’ in your shopping cart’s promotional code area works. See #14. Where you save: Any physical product that needs to be shipped. Your Turn: What’s your best tip for getting a discount? But wait, there’s more! Check out Part One to start from the beginning, or head on over to Part Three. I once went shopping and pricematched a bunch of items. The cashier had a couple problems with the computer because of the amount of discounted items and had to have a manager input a password several times. When I got home and looked over my bill I noticed that several of the pricematched items had reverted to regular price (I’m guessing something to do with the computer problems because I saw her enter in the correct prices). I called the store and asked if they would fix it for me. They told me to come in the next day. There were only about $10 in errors but the manager gave me back the entire cost of each item that I’d been overcharged for resulting in a refund of about $50. It was awesome!! Marianne, That’s great ! Congrats ! While I was researching buying a good slow cooker, I was looking at Future Shop and Canadian Tire’s websites and found that when I was on a particular item’s page, there was an “Add to Price Watch” or “Add to Sale Alert” button or clickable area. I never noticed this before so I clicked each of them and set up an alert for the slow cooker. After a week or two I got an email from Canadian Tire that said the item was on for $20 off. I went and bought it and then another email about the flier arrived a week later stating that it was on for 1/2 price. So I called the store where I bought it and asked if there was a price guarantee or whatever it’s called and the person told me to bring in my receipt and I got a refund of the difference! I’m sure there are similar “price watch” buttons on other retailers sites too. I’m all for saving money using Amazon, but I do have to wonder whether it’s fair that they don’t pay any sales taxes no matter where they sell to. Great tips! Where did you find the 5d mark ii for $800??? Heather — I didn’t. I bought it online for $800 less than sold in store. Jules, I’ve shipped from Amazon.com to my friend in Washington State, and I *do* get charged sales tax there. I do have no problem shopping online…but what I will not do is go into a brick and mortar store, try out the goods, get advice from staff, look at the price, then go online and shop. If one uses the services and facilities of the brick and mortar, then one should be prepared to pay for it. If I can, I always watch the cashier’s monitor as she scans each item. Last night, I got to a check-out when the previous customer was just paying so the cashier started processing my purchase while I was unloading my groceries from the cart. I purchased a number of items with a 50% off sticker, plus a few other items on sale, and I did not leave the store until I went over my receipt to make sure that every single discount was accounted for (they were not expensive items but it all adds up). I hate to find out at home and then having to go back the next day (even if my grocery store is close). Last night, the discounts shaved off about $10 from my bill and of course the best part was that my entire $90 purchase was paid for by President’s Choice points. I’ve worked in retail management for a number of years, beginning in grocery. Generally speaking the store and it’s employees want you to save as much money as possible but they aren’t going to simply hand it to you. Keystroke and scan errors happen. We always did what we could to make things right. Price matching can get complicated because sometimes what you think is the same product being offered elsewhere for cheaper isn’t always the case. Some stores, Walmart being a big offender, have enough pull with manufacturers that they can have have their own versions. I’ve seen blenders that look identical and come in identical packages with the exception of different stock numbers. The real difference is what was inside the model. As a manager I wanted you to spend your money at my store and I want you to be happy doing it. If the item is truly the same thing offered somewhere else, I’d be happy to price match it. I might very well get authorization for a price adjustment or temporary markdown on the rest of my stock….and be thankful for the tip. Price adjustments for when the item went on sale later? No problem because a) the majority of customers wouldn’t even bother to get a price adjustment and b) it’ll make you happy and more likely to shop at my store…heck you came in a second time, didn’t you? There are only two times I can think of when I wouldn’t offer a discount. The first is if it was a broken item I had a return authorization on it. No reason to lose money on a broken item when I could get all my money back on it. I’m not a big fan of letting faulty product out the door because who wants their store associated with broken stuff? The other time is when a customer has it in their cart and is in line at the checkout. I’ve had a decent number of people try to ask me for a discount just before getting scanned out. If it wasn’t important enough to ask before going to the checkstand and you’ve already got it in your cart….you’re buying it. I never had someone refuse to purchase product because I didn’t give them a spontaneous (not a price match) discount at the register. My best tip is pick two places nearest home and shop there, only. Driving around to pick up bargains here and there or to return something or get a wrong pice fixed, or find a deal, or take a coupon costs money, in gas, in impulse shopping (Oh that’s on sale and I always use it..). Also, if you are a known valued customer that they can see is buying all your list there, you’ll get deals and special service others will not, without even asking most times. Within five minutes driving I have my two chosen supermarkets, one butcher and one deli/bakery (separate from those in the supermarkets). They know me by name and know what I want, from the managers to the least time staff. It pays. Concerning the coupon or promo codes. I shopped online at Sundance and found a beautiful coat I wanted. I put it into the cart and then went on Google to find any promo codes. I found one for free shipping and it was still valid. All was good. I checked out, paid with my credit card and the total did not include shipping. Of course, living in Ontario I was still charged shipping after all. It was tacked on after the confirmation email arrived. So be wary of promo codes that are not honoured for us Canuks…Most seem good only for the US. All the tips you mentioned in this article are amazing & really make awareness how to get discount while shopping for anything. I am gonna make this my shopping tips from now because i am trying to buy a jewelery from Reecoupons which is the great online discount coupons store.I will for sure avail your (GET FRE SHIPPING) tip Might help me to get new deals from reecoupons.